After a long day of playing with her beautiful pet Seashell,Ariel need to wash and take care of Seashell.While they were playing Seashell injured himseft.You can start by cleaning him up , wash him and take care of his injuries.Have fun! 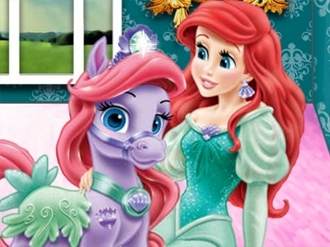 Do you know the gorgeous mermaid princess Ariel? She is a very beautiful girl and she loves pets. 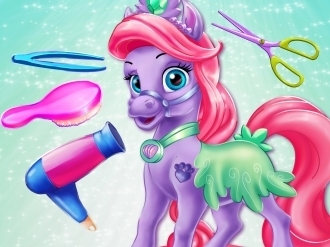 Her favorite pet is named Seashell and she is a cute horse. Ariel wants your great help taking care of the cute pet and you can help her in the game called Ariel's Palace Pet Seashell!